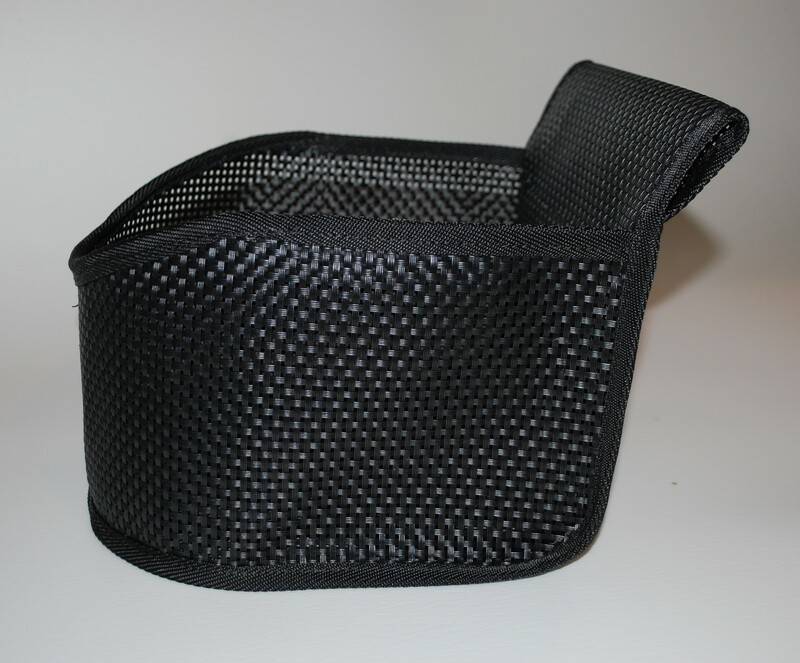 We also sell accessories that will attach to the standard belt. 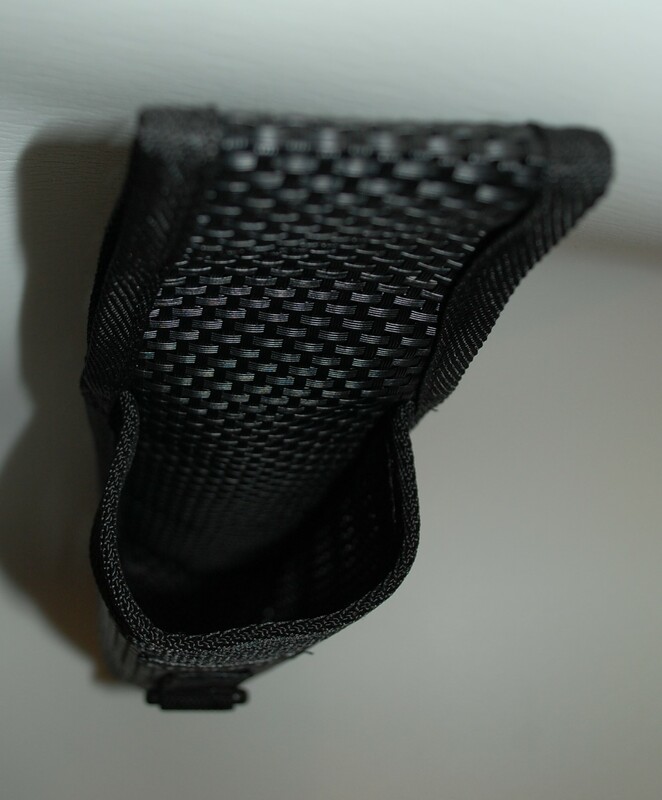 See below for water bottle holders, net holders, and stripping baskets for fly fisherman. All hand crafted in the USA. Choose from a small or large size. 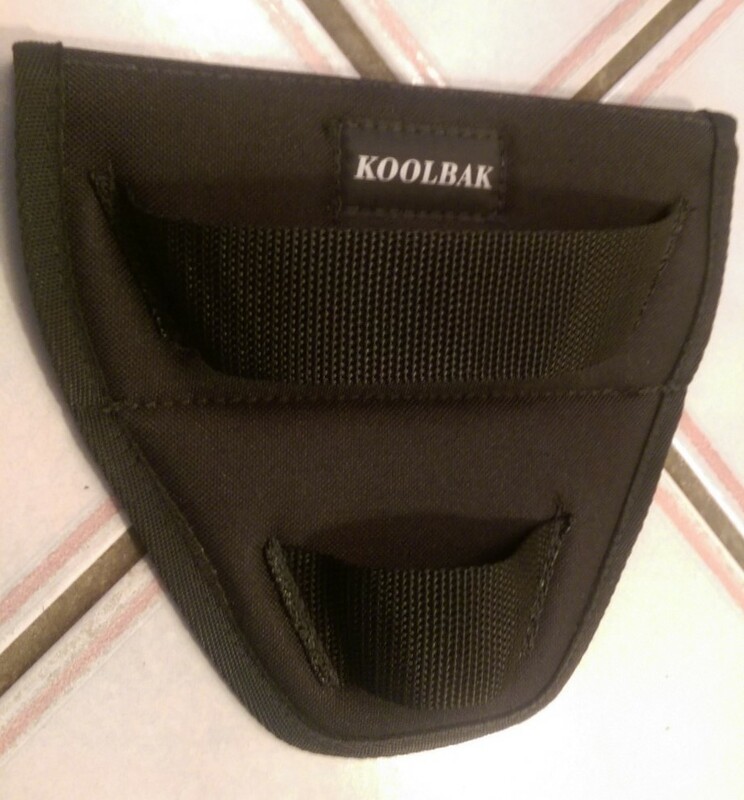 The small size has two heavy-duty plastic clips that fit over the top hem of your pants, an existing belt or wader, or my KoolBak wader belt. They are perfect for smaller and long handled nets. 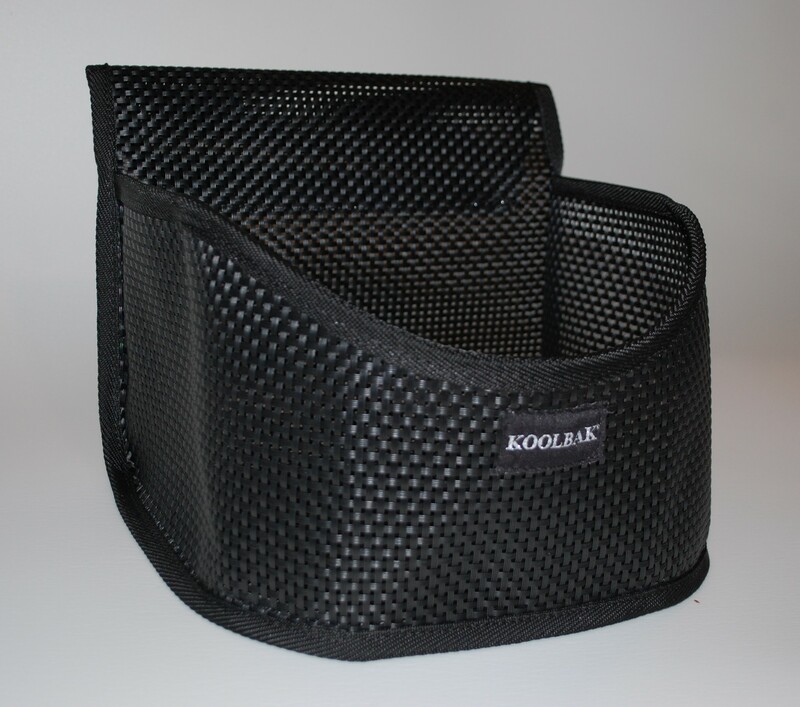 The large holder is ideal for nets with larger heads or shorter handles. They have a loop that will accomodate a 2-inch belt. Small is $15.00 plus shipping. Large is $18.00 plus shipping. They are great for helping to keep your line untangled while fishing. The size is 12″ x 10″ x 5″ deep. 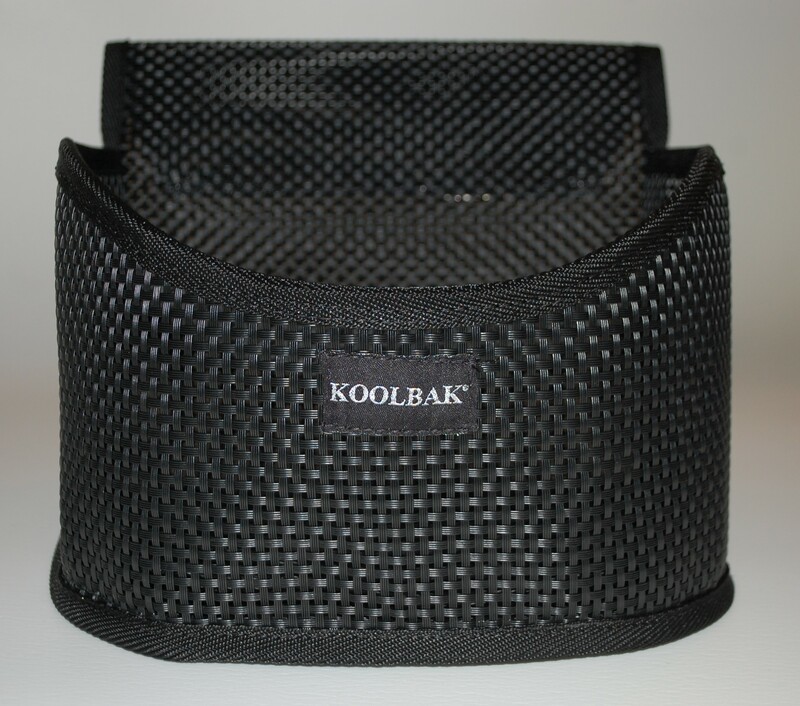 They are made from heavy PVC coated nylon woven mesh. Specify size. Each are $22.50 plus shipping. 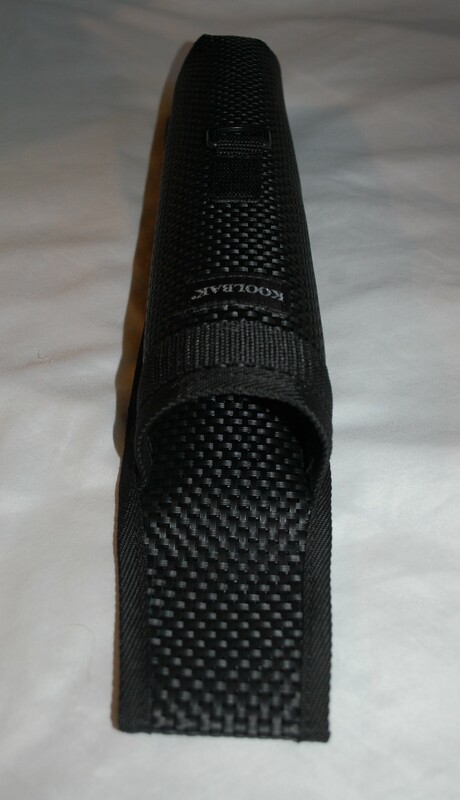 Custom designed to keep your collapsible wading staff / walking stick safe and handy. Very heavy duty, completely water safe… a “D” ring has been added to attach any safety lanyard your product make have. We have added a longer size due to customer request. Pouch dimensions are approximately 3.5″ x 10″ for the standard size and 3.5″ x 15″ for the new longer option. 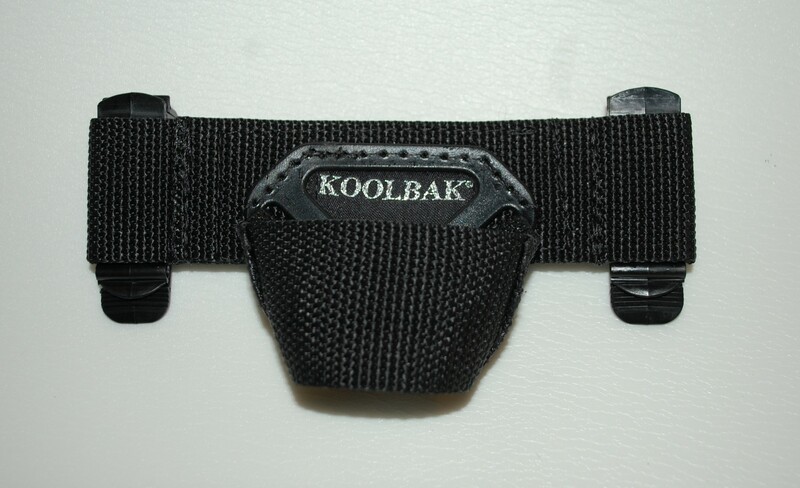 Specifically designed for the KoolBak Wader Belt but will hang from any belt up to 4″ wide. Fits standard pop / beer can diameter. The right size for spray paint cans too! $9.95 plus shipping. Determining the correct belt size is extremely important for your comfort. View directions to correct sizing. Read why this is the best support belt made in the USA. 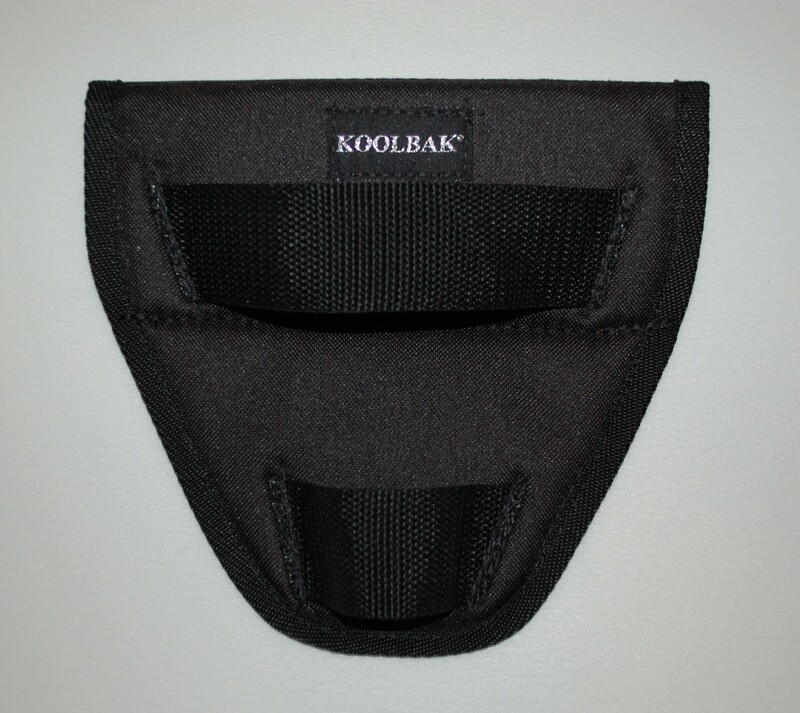 At KoolBak we stand behind our products 100%, no strings attached, forever. See our complete warranty.